I did a fresh install of trusty 14.04, but a lot of icons are missing. I installed from DVD which was painfully slow and I hope to avoid repeating the process, especially since I started customizing stuff. None of which changed anything. Any idea? I wanna edit preferences and none of them are in System Settings, neither in Unity Dash. And I've got them all back again. Kudos @user282306 (previously r00t) for the suggestion. I didn't want to re-install the whole ubuntu-desktop because it was going to install a bunch of packages I didn't want/need and use another 100MB of space. Not the answer you're looking for? 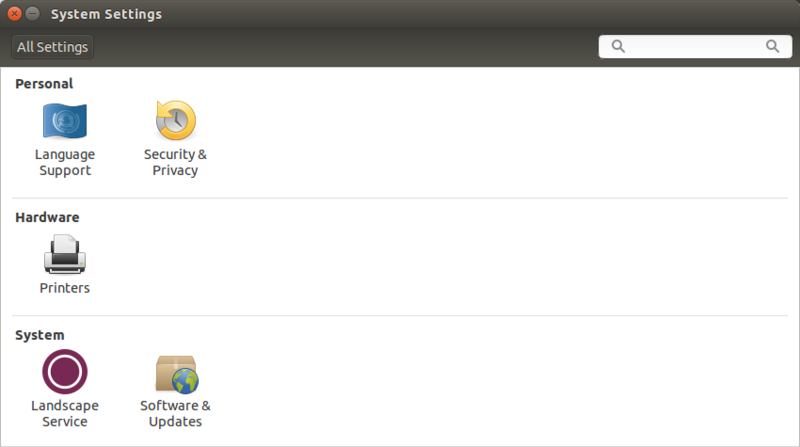 Browse other questions tagged unity icons settings system-settings or ask your own question. Problem with panel of configuration can't see more icons for settings dialogs? How to use several workspaces? System Settings has two online account icons?